During his 10-season career, he was a three-time 40-game winner, played for two National League pennant-winning clubs, and regularly finished in the top ten in many pitching categories. 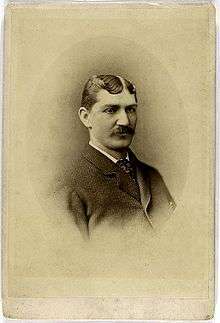 In 1877, he was the first winner of baseball's pitching Triple Crown, leading the NL in wins (40), earned run average (2.11), and strikeouts (170). His career statistics include a record of 234-163, 386 complete games in 408 starts, 42 shutouts, and an ERA of 2.31. Bond also played 92 games in the outfield, a few more in the infield, and batted .238 with 174 RBI and 213 runs scored. Bond is the all-time baseball leader in strikeouts per walks, at a 4.44 ratio, for pitchers who threw a minimum 1000 innings. ↑ "Career Leaderboards". FanGraphs. Retrieved 2009-09-16. ↑ "Tommy Bond's career statistics". Retrosheet, Inc. Retrieved 2009-04-07.